The stage has been set for the first tournament in the Botswana Chess Calendar. The tournament dubbed Year Opener will take place from 20th-22 January. The tournament presents an opportunity for last year’s winner CM Providence Oatlhotse to defend his title. Oatlhotse had an impressive run in the past year as he won almost all the chess tournaments against his fellow locals. His flame was dozed when he narrowly missed the national championship title and the Botswana closed. The tournament will see the return of CM Ignatious Njobvu. 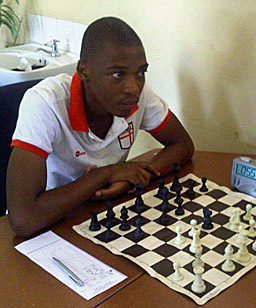 Njobvu had a silent run last and only resurfaced at the end of the year to win the Botswana Closed Tournament. He is popularly known for digressing off the main lines, something which most players find hard to swallow. The return of FM Phemelo Khetho adds the deserved spark to the tournament. 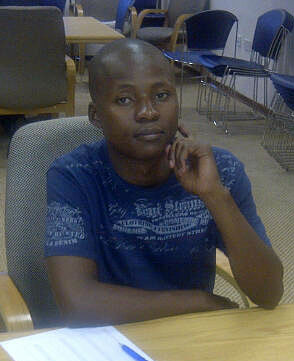 Khetho who has been on a short break will hope to salvage his reputation by winning the competition. He is currently the only active FM in the country. The silver medalist at the last year’s Commonwealth Games Moakofhi Notha is expected to contest vigorously for the title. Notha who has risen steadily over the ranks is now a force to reckon with and his strength cannot be understated. The other players who will make the tournament an unpredictable affair are, reigning national champion Dzilani Abel, former national champion Barileng Gaealafshwe and former national team player Tebogo Pitlagano. The country’s under-21 stars will also try and prove their mettle against the experience veterans. These include amongst other Thato Olebile, David Mooketsi and Goabaone Tangane. In an unexpected turn of events, the tournament has lured and resuscitated the interest of former national team player Kenneth Boikhutswane. When asked about his readiness for the event, Boikutswame quipped, “I will be happy to finish in the top 15. I have been working hard on tactics and endgame study.” On the ladies section, Kgalalelo Botlhole will be faced with an uphill task of defending her title. Baying for her blood will be reigning national champion Thapelo Francis and WIM Boikhutso Modongo. The tournament is sponsored by Aifficieny and will be played at Yarona country lodge. Thank you Martin.We certainly will keep everybody in the loop.This year Botswana Chess Federation will be celebrating its 30th anniversary.We have a series of exciting events lined up for the year. Hi Daaim,we will communicate a detailed plan of events in due course.In summary,the celebrations will culminate in a dinner and an award ceremony.As a build up to these events,Botswana Chess will donate chess equipments to identified schools in the country,we have also identified a number of orphanages and adult homes that we will make donations to.We will be hosting tournaments in line with the anniversary theme. I ask because it is possible I will be visiting Botswana, but no plans are confirmed yet. Good luck to our brothers and sisters in Botswana from the Jamaican Chess Fraternity. Undoubtedly there will be fighting and interesting chess. One of our wishes for 2012 is to see a lot of the games played in Africa. Quite often events are held on that great continent of our forefathers and we never get to see the game scores, have an opportunity to play over the games etc. Rarely are there any published analyses done. This, respectfully, detracts from the “legacy”. Hopefully this will be remedied this year! All the very best! Thanks a lot for your words of encouragement.We will do our very best to share the news from this.We are also inspired by the events and games from Jamaica and the rest of the world.Thanks and all the best. Thanks for publishing the last Ghana National Champ on the drum. Sorry we didn’t add the pgn of the competition. Feel free to send the PGN file.